DUI [driving under the influence or sometimes referred to as D.U.I.] is the crime most often committed in Georgia by citizens who are typically law-abiding, tax-paying, hard-working people. 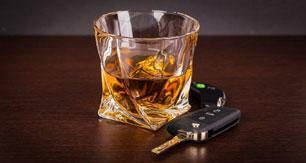 Most of our clients have no prior DUIs when they call us or e-mail us for help. The nightmare that our clients face by being arrested, cuffed, jailed, processed at jail, followed by having to post bond to be released and then retrieve their car from impound can be life-shattering for many. Driving under the influence of alcohol, drugs, impairing vapors or a possible combination of two or more of these impairing substances are commonly referred to by the acronym "DUI". Have no doubt that a DUI conviction is very serious . The level of importance of this crime can best be judged by the regularity by which reports of traffic fatalities connected with impaired driving make the 6:00 television news or the local newspapers. Ironically, numerous local weekly news tabloids in many Georgia municipalities will list the names of each and every DUI arrest made in that jurisdiction over the prior week, yet omit many criminal charges of a more serious nature, such as child molestation or spousal assault. Annually, new DUI legislation is pushed by whatever political party is in power. The appearance of being opposed to DUI helps politicians get re-elected, and virtually every politician will jump aboard that bandwagon. The well-known "non-profit" group, Mothers Against Drunk Driving (MADD) is the primary instigator of these legislative changes. The Governor’s Office of Highway Safety (GOHS) and the PAC (Prosecuting Attorneys Council) are also extremely active in pushing for new, more punitive laws each year. These three groups "tag-team" the Legislature each session and push, berate, beg and draft laws to try to get tougher laws enacted. Our Georgia lawmakers have passed (or sought to pass) legislation increasing the penalties for a DUI conviction each year for the past 15 years. Some proposed changes that have not passed would make the consequences of a DUI conviction extremely harsh. For example, one recent proposal (that did not pass) would have made anyone convicted of DUI ineligible for public office in Georgia and would have also blocked such persons from voting again in Georgia! That would mean that neither President George W. Bush (one DUI conviction) nor Vice President Richard Cheney (two DUI convictions) would have been eligible to either vote or to run for the position of "dogcatcher" in Georgia, had it passed. In this atmosphere of heightened concern for stopping drunk driving and accidents involving impaired drivers penalties can be very tough. If you face a second or third (or more) conviction for DUI, especially if within a five-year period of time, as measured from the dates of arrest for each DUI which either resulted in a plea of nolo contendere ("no contest") to DUI or a DUI conviction to the date of the arrest of the present offense, you can be facing months in jail and total loss of driving privileges. Minimum mandatory penalties built into the law and the recently-invented "DUI Court Program" that is spreading across Georgia assure that penalties are extremely harsh, expensive and life-altering. [ NOTE: Distinguishing the CRIMINAL action from the ADMINISTRATIVE license suspension proceedings. The following information deals with the CRIMINAL aspects of a DUI conviction. Over 95% of all people arrested for DUI in Georgia will also be served (by the arresting officer) with a copy of a yellow form, 8 ½ inches wide by 11 inches high, called a "DPS-1205" form. This is a proposed ADMINISTRATIVE suspension (not criminal) for either REFUSAL to be tested at the time of the DUI arrest OR for agreeing to be tested for alcohol concentration and rendering an alcohol content over the applicable legal limit for that "category" of drivers. In Georgia, the legal limit for drivers under age 21 is 0.02 grams percent, for drivers of commercial vehicles weighing 26,001 pounds or more, the limit is 0.04 grams percent, and all other drivers age 21 and over, the legal limit is 0.08 grams or more. For persons who refuse, a potential 12-month "hard suspension" for the refusal to be tested can occur that can be instituted against your driving privileges even before the criminal case comes up in court. For the administrative "penalties", this is the ONLY punishment or loss of entitlement that you can suffer if you lose the ADMINISTRATIVE hearing that determines whether you did or did not wrongfully refuse the state-administered test. In other words, no fines, jail or probation applies to the administrative side of your "DUI case". Hence, any information regarding license suspension set forth below relates ONLY to the criminal charges. For more information on the Administrative License Suspension (ALS) consequences of either refusing or submitting to testing and producing a result at or over the appropriate legal limit, see this web site link. Mandatory Jail Time and Probation. Even 1 st DUI offenders convicted of the criminal charge of "driving under the influence" in Georgia typically face jail time in most DUI courts. Georgia law requires jail time if a person submitted to a breath, blood or urine test and the person's blood alcohol level when arrested was 0.08 grams percent or more. Many judges make it a practice to give a minimum of 24 hours in jail on all offenses. Almost always, your judge (if requested to do so by your attorney) will permit you to receive credit against your jail sentence for any time you spent in jail the night of your DUI arrest. Plus, a DUI carries mandatory probation equal to 12 months MINUS any days that you actually serve in jail. Unlike most other traffic offense crimes such as reckless driving or hit and run, the probation for a DUI conviction cannot be shortened to less than 12 months. Fines, Surcharges and Other Penalties. Fines for a first offense (or second offense) DUI-alcohol conviction can be as high as $1,000.00 plus statutory add-ons called "surcharges" that will add roughly 40% to 50% more to the fine amount. A third DUI conviction within 5 years can lead to the imposition of fines as high as $5000 plus surcharges. If the offense is DUI-drugs, the surcharges will be even higher, and will be roughly DOUBLE the fine amount that the judge imposes. For a detailed chart of possible judicial penalties for various DUI offenses (e.g., fist in 5 years, second in 5 years, etc.) with full footnotes, please see Mr. Head’s copyrighted chart outlining all offenses and the minimum MANDATORY Georgia DUI punishment. A DUI conviction also requires that the person convicted (or who --- if permitted to do so by the judge --- pleads nolo contendere) perform not fewer than 40 hours of community service [for a first offense within a five year period]. For a person unfortunate enough to face conviction of a second or third DUI within the five-year "lookback" period, the MINIMUM number of community service hours will be 240. It can be even more in some courts. All DUI Convictions Result in Suspension (or Revocation) of Georgia License or Privilege to Drive in Georgia. Any DUI conviction --- even that of a first offender and even if he or she is allowed to enter a plea of "nolo contendere" ---results in a suspension of the person’s Georgia driver's license. A revocation (totally cancellation of license) can occur if the person gets three DUIs in 5 years. To get reinstated, the person MUST (1) attend and satisfactorily complete a "DUI school" class that (in Georgia) lasts 20 hours and (2) pay the required reinstatement fee of $200 if done through the mail and $210 if the person "walks in" to process the reinstatement at the DDS offices that handle such requests. Absent doing these things, the person convicted in Georgia --- both Georgia-licensed drivers and non-resident motorists who get convicted of DUI in Georgia --- can NEVER drive on Georgia’s highways again. NEVER! Drivers licensed by another state who get arrested and convicted in Georgia for DUI will need to complete the same course --- or its "approved" equivalent course in another state ---to EVER be permitted to drive again in Georgia. Not all "DUI schools" in other states are accepted as being "equivalent" in the State of Georgia, so ask your experienced, knowledgeable DUI specialist for guidance on attending a qualified program. 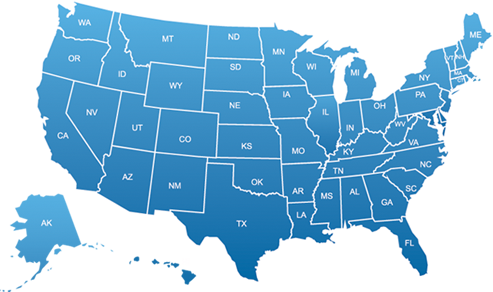 Often, by attending the approved course in the non-resident motorist’s home state (e.g., South Carolina), he or she can satisfy reinstatement requirements in BOTH that state and in Georgia. Incidentally, any first offense conviction reported to DDS for a driver who is under age 21 at the time of conviction being received at DDS will result in a "hard suspension" (meaning, NO DRIVING PRIVILEGES AT ALL) for 12 full months if there is a test result in his or her case of 0.08 grams percent or higher, and for 6 full months of there is no test result of 0.08 grams percent or higher. Obtaining a "Work Permit" (Limited Driver’s License) for Georgia-licensed Drivers. For others age 21 or over who have a first DUI in 5 years, and are licensed by the state of Georgia, the conviction means that they will have a suspension for one year, but are immediately eligible for a "work permit" (limited driving permit) at a cost of $25 so long as the person provides the necessary documentation [either a "first offender" affidavit signed by the judge handling your case OR certified copies of all the uniform traffic citations and plea/sentencing sheet of the convictions] for turning in at a DDS office along with the required $25 fee. Such persons age 21 and over (when the DUI disposition reaches DDS) can also get an early reinstatement of their full license IF he or she completes the DUI school [called the "risk reduction school" by Georgia statutes] and pays the required statutory reinstatement fee. The first possible date by which this "full" license can be reinstated is 120 days after the conviction date. A person licensed in another state who is convicted of DUI in Georgia cannot obtain a "work permit" (limited license) in Georgia at all. Unless the non-resident’s attorney can assist him or her to get a Georgia license, he or she will have to wait out the 120 days of "hard suspension" (no privileges at all) and then seek to get a Georgia license. This assumes that the person has complied with attending DUI school AND pays the $200 (by mail) or 210 (walk-in) reinstatement fee, AND that the person (at that point) has a valid license from his or her state that can be surrendered for purposes of getting licensed in Georgia. Most Georgia judges add even more "punishment" to the list of minimum judicial penalties required by law. Many judges, for example, now mandate that each person in his or her court that gets a DUI conviction must be screened by a state-approved and licensed "alcohol and drug" counselor to assure that the person does not have a dependency on alcohol and/or drugs. If the person being screened does have issues that require treatment for dependency or addiction, then the judge who ordered such an assessment typically mandates that all recommended treatment be followed by the person convicted, with such follow-through being made one of the conditions of the person’s probation. Another recently added "condition" of probation imposed by many Georgia judges, especially many in metro Atlanta, is the attendance and completion of the "MADD V.I.P. Program". This is the "victim impact panel" meeting that lasts for two hours and involves family members of victims of drunken driving accidents to stand before the attendees and explain the devastation that has befallen them after the death or permanent disability caused by a DUI-accident. M.A.D.D. currently makes millions of dollars from these programs, which now generate a substantial portion of its more than $50 million annual revenues. To see how it is ranked among charities, go to this helpful web site . Beyond the minimums called for by Georgia law, a judge can add other conditions of probation for any offender, including those convicted for a first lifetime DUI offender. Examples of possible additional conditions of probation that a judge may impose include (a) random alcohol or drug screens during the term of probation, at your expense, (b) installation of an interlock device on any vehicle that you drive, (c) attending a certain number of AA meetings, (d) payment of restitution for damages caused by you or your vehicle, (e) [usually for drivers under age 21] writing an essay about what you learned from this experience, including the DUI school, (f) anger management classes [usually when bad behavior toward the officer is shown], (g) [usually for drivers under age 21] completing the requirements for Boy Scout merit badges in traffic safety, law and citizenship in the community [ Mangiapane v. State, 178 Ga.App. 836 (1986)], or (h) wearing a bright pink bracelet on your wrist that reads "DUI CONVICT". [ Ballenger v. State, 210 Ga.App. 627 (1993)]. The variability and range of penalties is limited only by conditions that an appellate court would find illegal or excessive. Minimum penalties for repeat offenders within five years are far greater and more painful, and these consequences can be reviewed in the copyrighted chart shown earlier. This is why hiring a very good and experienced attorney is essential in ALL cases where DUI is charged. Beyond Court-imposed Penalties are the Non-Judicial Loss of Entitlements and Penalties. Plus, after reviewing these possible "judicial" penalties the value of fighting these serious cases becomes readily apparent. Beyond the judicial penalties set forth above, there are dozens of additional problems and non-judicial sanctions that will follow a DUI conviction, which (in Georgia) CAN NEVER BE EXPUNGED from your criminal history. Georgia is one of many states that has no statutory procedure for removal of a criminal record, once it is entered against you. Persons who have job-related travel commitments may be the hardest hit by these non-judicial consequences. Issues like car rental, travel to Canada and complying with company insurability rules all pose problems. Furthermore, any person convicted for DUI who is NOT a United States citizen or possesses permanent resident status in the United States may face deportation for certain offenses. For a list of these other penalties and sanctions, see the article by Mr. Head, written for Trial Magazine in 1993.